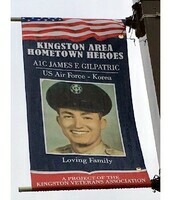 Provide comfort for the family of James F. "Digger" Gilpatric with a meaningful gesture of sympathy. James Francis “Digger” Gilpatric, 89, a lifelong Kingston resident, and one of Kingston’s longest-serving morticians, passed away in the comforting presence of his wife, on Saturday, January 12, 2019. A native of Kingston, he was the son of the late Ralph and Marie (Murphy) Gilpatric. 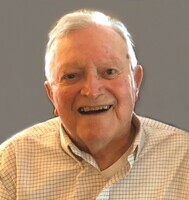 Jimmy was a graduate of Kingston High School Class of 1946, attended Siena College from 1947-49, was a veteran of the U.S. Air Force, graduated from the Renouard School for Embalmers (at Bellevue Hospital, NYC) June 1950, and earned his NYS License to Practice Funeral Directing on July 17, 1951. In 1950, Jimmy joined his grandfather’s funeral firm, the James M. Murphy Funeral Home. Following the death of his grandfather, Jimmy took over as owner and funeral director of the firm in 1954. In 1972, Jimmy marked the 100th anniversary of his funeral home with a change of name and plans for expansion, revealing that the four-generation family firm would be renamed the Gilpatric-Murphy Funeral Home. In 2009, the funeral home business was sold and renamed the Gilpatric-VanVliet Funeral Home, and eventually moved to Ulster Park in the Town of Esopus in 2012. 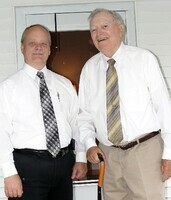 Jimmy continued as an adviser and mentor to the firm’s new owner, funeral director Harry VanVliet IV. In his more than 60 years as funeral director, Jimmy was witness to many changes in the funeral profession. Jimmy was a former Ulster County Legislator, a past Commander of Kingston American Legion Post 150, a member of Kingston Council 275 Knights of Columbus 4th Degree, a longtime faithful parishioner of St. Mary’s Roman Catholic Church and a member of its Holy Name Society, a past member of Kingston Ancient Order of Hibernians where he was also recognized as 2003 Mayor of the Day, a member for 25 years of Kingston Babe Ruth Baseball League where, as an original founder,he served as its first president. He was also a past member of NYS Football & Baseball Officials, a past 45 year member of Kingston Kiwanis Club, and a longtime member of Twaalfskill Golf Club. Jimmy will be remembered for his quick wit, his Irish charm, and his laid back personality. He had two speeds, slow and slower, which allowed him to sit back, relax, enjoy life and its people as it unfolded before him. Jimmy ALWAYS had a smile on his face, a twinkle in his eye, and a joke to share. He dearly loved his hometown Kingston. He also loved his time spent in Cape Cod & Ireland, as well as his hand rolled cigars from Bach Factory Cigars on Wilbur Avenue, the Brooklyn Dodgers, the Mets, the Red Sox and anyone who beat the Yankees. He was famous at Giants Stadium where he led his season ticket section in cheers and was proud of the drinks he shared with Joe “Willie” Namath the night before Super Bowl III. Jimmy worried about little, was loved by many, and will be dearly missed by each and every one of his family members and friends. He is survived by his wife of 27 years, Roslie (Parmenter) Gilpatric, his son, Hon. James P. Gilpatric, and his wife Elizabeth, of Kingston, three daughters, Mary Ellen “Mimi” Croswell, and her husband Dennis, of Kingston, Patricia Gilpatric, of Kingston, and Christine Gilpatric Fiore of Tennessee, three stepsons, Joseph Schabot and his wife Michele, of Apex NC, Steven Schabot, and his wife Lynn, of Kingston, and Craig Parmenter, of Glendale CA, and one stepdaughter, Amy Ryan, and her husband Robert, of Hurley. Jim is also survived by his 13 grandchildren, Michael and Matthew Croswell, Lucas Hopper, Jamie Gilpatric Nichols, Andrew Gilpatric, Zach and Scott Schabot, Dalienne Niles, Jason Schabot, Cailin, Micaela, Bobby and Cian (“Chico”) Ryan, and 10 great grandchildren. He is predeceased by his former wives, Jeanne McCutcheon and Joan Eckert Schabot, his beloved aunt, Eleanor Murphy Bruhn and his beloved stepfather Andrew Cherny. Jimmy’s family is extremely grateful for the comfort and care he received while at TenBroeck Commons/Center. Jimmy will lie in repose at the Gilpatric-VanVliet Funeral Home, 339 Broadway, Ulster Park, Town of Esopus, where the Gilpatric Family will receive friends on Friday, January 18th, 2019, from 3:00 pm to 7:00 pm. The funeral procession will form 9:00 am Saturday, January 19, 2019 from the funeral home, thence to St. Mary's Church where The Mass of Christian Burial will be sung at 10 o’clock, The Rev. Father Edmund Burke will officiate. Entombment at Wiltwyck Community Mausoleum, with military honors by Joyce-Schirick VFW Post 1386 Honor Guard, will follow. 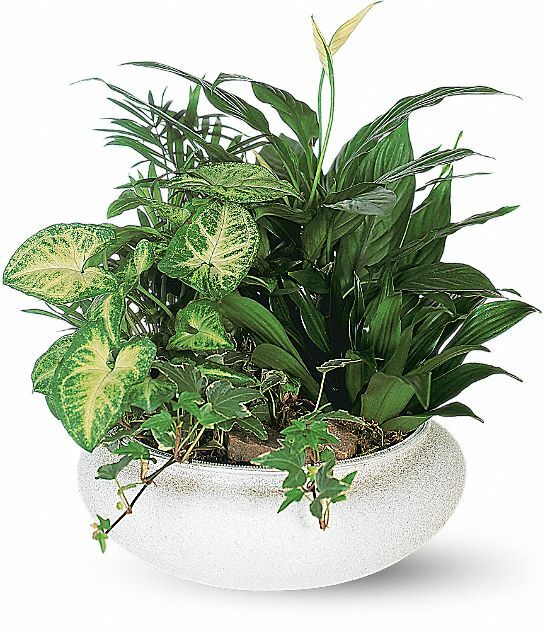 The family asks that in lieu of flowers contributions be made in Jimmy’s memory to: Center for Spectrum Service, 70 Kukuk Lane, Kingston NY 12401 (formally known as the Children’s Annex) or a charity of your choice. 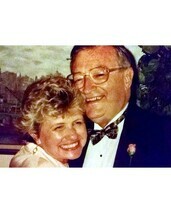 To send flowers in memory of James F. "Digger" Gilpatric, please visit our Heartfelt Sympathies Store. We encourage you to share your most beloved memories of James F. "Digger" Gilpatric here, so that the family and other loved ones can always see it. You can upload cherished photographs, or share your favorite stories, and can even comment on those shared by others. From Michele VanKleeck &Family and John Brandow Jr, Alfred, Michael and Alex Mainetti, and others have sent flowers to the family of James F. "Digger" Gilpatric. From Michele VanKleeck &Family and John Brandow Jr purchased the Medium Dish Garden for the family of James F. "Digger" Gilpatric.